Armed men raided the offices of a Sudanese newspaper on Saturday evening and severely beat the chief editor who had called for normalization of ties with Israel, a colleague said. The violence against Osman Mirghani, chief editor of the Al-Tayar daily, was an unusual physical attack against a journalist in Sudan, although reporters regularly complain of censorship by the National Intelligence and Security Service. 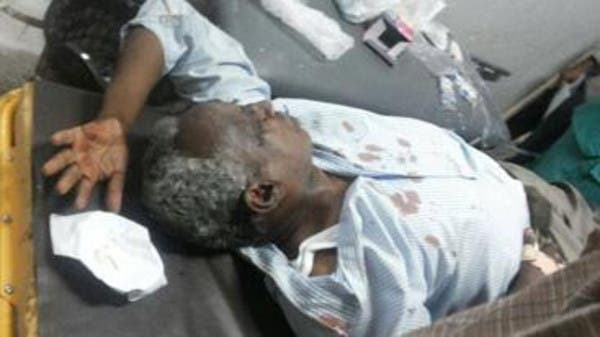 Mirghani was admitted to Al-Zaytouna Hospital in downtown Khartoum after “they just started beating him in his head, in his leg, using the guns and the sticks,” Faisal Mohamed Salih, an award-winning Sudanese journalist and press freedom advocate, told AFP. Ibrahim Ghandour, top assistant to President Omar al-Bashir, visited Mirghani and told journalists that the editor was unconscious, Salih said. Speaking from the hospital and citing information from Al-Tayar reporters, Salih said about seven gunmen drove up to the newspaper’s office just before the evening iftar meal when Muslims break their fast during the holy month of Ramadan. The attack occurred just a few days after Mirghani called on local television for Islamist Sudan to normalize relations with Israel, Salih said.Mirghani’s comments came during an Israeli military assault on the Islamist Hamas movement in the Gaza strip.The operation saw one of its bloodiest days Saturday, and the Palestinian death toll rose to 343 after 12 days.Israeli officials have long accused Sudan of serving as a base of support for Hamas militants. Sudan ranked near the bottom, at 170 out of 179, in the Reporters Without Borders (RSF) 2013 World Press Freedom Index. Sudanese newspaper raided, journalists beaten Beaten among the journalists was newspaper editor-in-chief Osman Mirghani who lost his consciousness and was later taken to a nearby hospital. Posted on 21st July 2014 by newsafrica. This entry was posted in Africa, Gaza, Islam, Palestine-Israel, Press Freedom, Religion, Sudan (North), Terrorism and tagged Gaza Strip, Hamas, Israel, Khartoum, Mirghani, Omar Al Bashir, Salih, Sudan. Bookmark the permalink. « Islamic militants siege on Libya international airport. Libya on the brink..